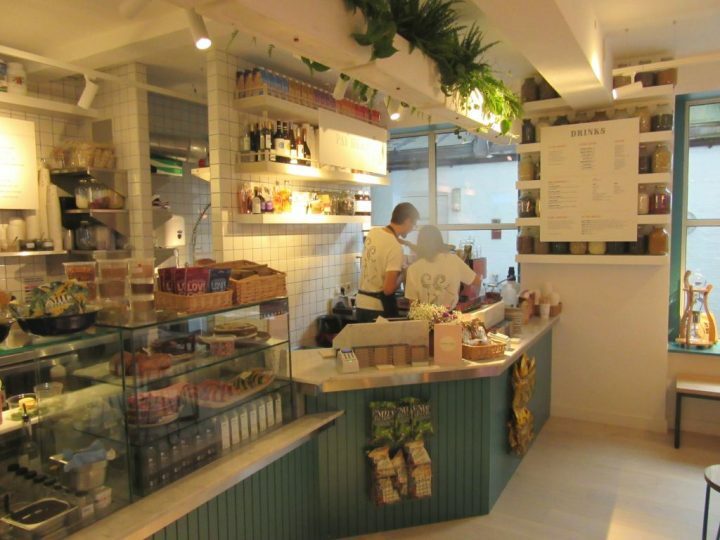 Sweaty Betty’s three-storey flagship store at No.1 Carnaby is already the perfect place for ladies that lunge to get kitted out, and now ladies what lunch can get involved too; health cafe Farm Girl has opened a concession. Farm Girl is the sort of Australian-inspired café that health conscious customers go mad for and with good reason. Loaded with superfood ingredients Sweaty Betty shoppers can now call in for their signature dishes including build-your-own-breakfast bowls and gluten-free doughnuts or celebrate completing laps of the shop at Farm Girl’s first cocktail bar, featuring alcoholic drinks using strawberry, acai and lavender infused vodka, biodynamic wines and Hoila Aoole cider.